As you know that English is an international language and learning English as a second language has become compulsory for every student living in any part of the universe. If you are living in an English speaking country, then you are lucky and it would be so easy for you to learn spoken English. Most of the people who are not living in an English speaking county they take a special class to improve their English, where they won’t be taught professionally because they don’t have professional instructors, so the best way for them to learn ESL is referring to the internet. All you need is a computer and internet connection then you can learn English online anytime anywhere. In the article below, we introduce the 10 best English online courses for beginners. The Learn English Network is a voluntary organization to help people learn English online. The Learn English Network offers English grammar and extensive English vocabulary sections, along with free lessons for beginners, a free English magazine, diary, games, lessons and tests, and an insight into British culture, traditions, and customs. The Learn English Online site has free English lessons for beginners. With EnglishClass 101 you can learn and improve your English in the easiest and most fun way. They provide an effective tool and every day thousands of users take their class online and learn English through their mobile apps, desktop software, and website. Lynda.com is an online learning platform among best English online courses that helps anyone learn anything. For 20 years Lynda has helped students. leaders, IT and design pros, anyone in any role. They are having more than 6,197 courses taught by industry experts. In addition, Lynda is a great website to learn English online. It is having more than 2,882 courses just for ESL learners. Including courses for beginners, intermediate and advanced learners of English. Coursera is having more than 25 million learners, 149 university partners, 2000+ courses, 180+ specializations and 4 degrees. This website is having many courses for ESL learners, you can choose your course based on your level and capability. For the people who have just started learning English, we recommend taking the following courses. USA learners is a free website for adults to learn English. Here you can improve your speaking, reading, writing, listening, grammar, vocabulary and more. They give you the opportunity to prepare and become a U.S. citizen too. USA learners is free and a great way to learn English online, their basic and intermediate courses are having hundreds of educational videos that will teach you American English. This course was created by Shawn Roe, this course covers essential elements and structures of English sentences and questions. You will learn and understand the basic parts of English, identify the subject pronoun that could replace any subject, construct simple English questions, identify the subject and verb of every English sentence and speak grammatically correct English. You just need to be able to understand very basic spoken and written English including knowing the alphabets and be able to introduce yourself, then you can improve your English with this course. This course costs $10 and you can get more detail by clicking here. Practice Makes Perfect is a basic English bestselling workbook that provides learners of English with invaluable tools to ensure mastery of essential concepts. Each lesson in this book covers a single grammar concept, supported by many clear examples. Extensive exercises keep you focused and interested while you gain confidence in your new language. This course costs only 8.85 and you can buy this book from Amazon. Learn ESL (English as a second language) is another best English online courses to help people learn English as a second language. They provide useful video and text materials to learners around the world. They have divided the course into three categories: Basic, Intermediate and Advanced. 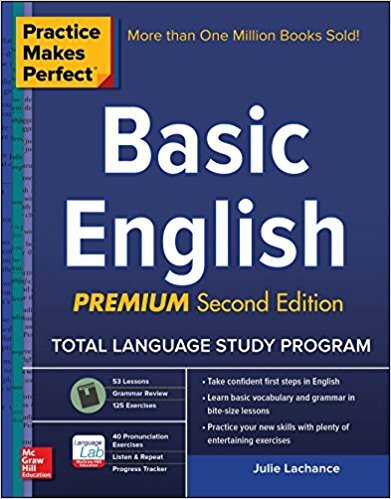 Basic: This part covers basic rules and if you just started learning English, you first need to know some basic rules of the language to help you create your own sentences correctly and improve your communication skills both in written and spoken English. Advanced: This category is intended for advanced English learners, here they focus on difficult English grammars, every structure is in a detail and elaborated to be useful for advanced learners. Moreover, there are four skills: Listening, Speaking, Reading, and Writing that you need for complete communication. Complete English Course of English speaking and English grammar is created by AbcEdu Online. This course will help you from beginner and course for understanding and speak English with visual support, and also it includes English Grammar. You can buy complete of this course from Udemy which costs only $10. LinkedIn is the world largest professional network with more than 530 million users in more than 200 countries and territories worldwide. LinkedIn connects the world’s professionals to make them more productive and successful. If you want to learn ESL then LinkedIn is having a lot of expert instructors who teach English online. They are having different courses for different levels. You can connect with expert teaches here and learn ESL. 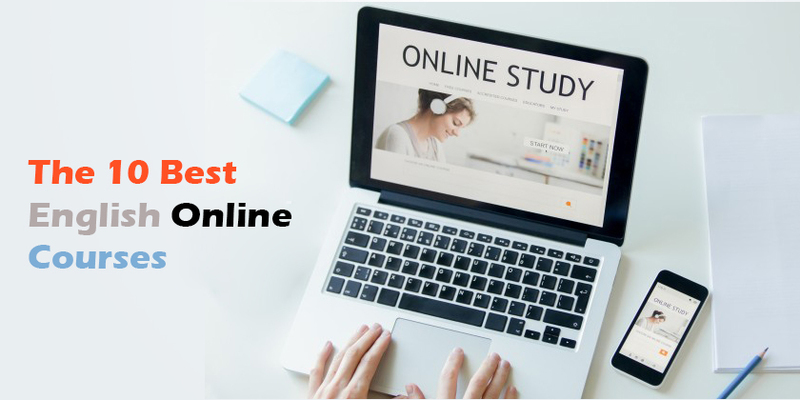 The 10 best English online courses I introduced here are based on English learners reviews, they have improved their English level in the easiest way and have become fluent in English. If you have any question, just leave a comment in the comment section below, we may feel happy to help you out. The article will be published soon Sajid Hussain.